Yesterday: Benoît Davison – one of Northern-Britain’s finest lads – climbed “Pata Negra”, a true stamina-monster in Rodellar. 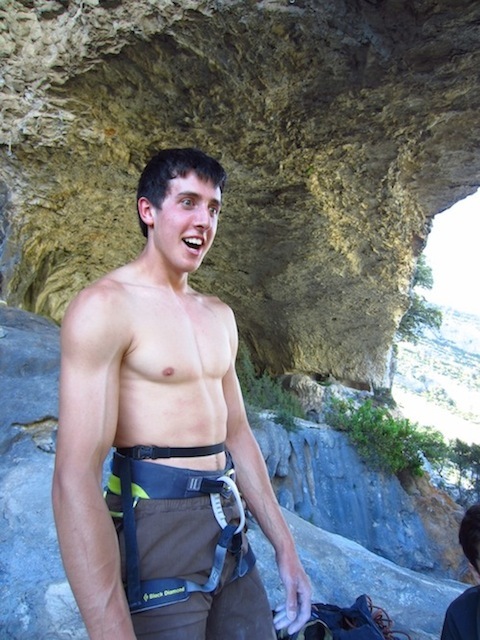 Your reporter on the scene, who was given the honour of belaying, could not believe his own eyes! Benoît dashed off as a sheer bolt of lightning, tackling the first crux with a frightening grunt. After that he quickly continued to the middle of The Great Roof, where he positioned himself in a no-hands rest that can only be described as being revolutionary! – McClure, old chap, take the boy for a climb, there is quite a bit to be learned here. 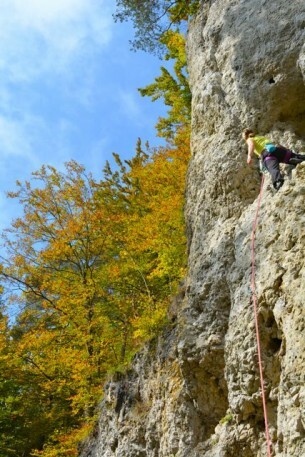 – Like a hot knife trough butter he continued trough the redpoint-crux, reaching the safe haven of the shake-out hold. Having entered easy terrain now, he had to finish it. We – on the ground – felt our knees turn into rubber, our hearts thumping in our throats. Benoît stayed cool as a cucumber and being the oiled climbing machine that he is he headed onwards to the sky. The crowds roared when he clipped the chain, applauding and patting each other on the back. Benoît, our hero, still feeling fuzzy from his great effort, floated god-like an inch above ground, chuffed as he said and finally free. The biscuitless hard work had paid off for there he climbed his first 8c!